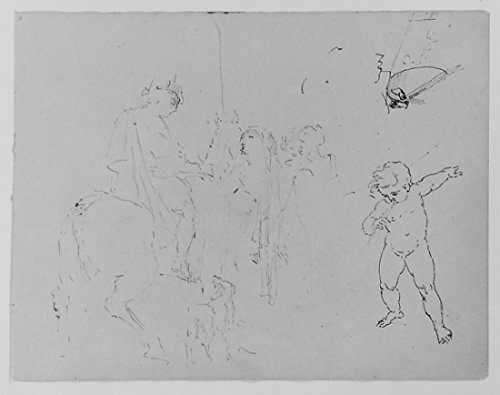 Standing Woman; Child Leaning by a Fishbowl; Weeping Putto; Mounted Soldier; Kicking Horse and Fallen Rider; Half-length Seated Figure; Rowboat (from Sketchbook) is a licensed reproduction that was printed on Premium Heavy Stock Paper which captures all of the vivid colors and details of the original. The overall paper size is 18.00 x 24.00 inches. This print is ready for hanging or framing and would make a great addition to your home or office decor.